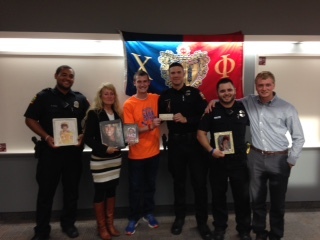 On Tuesday May 12th the Chi Phi Fraternity—Pi Theta Chapter from the University of Wisconsin-La Crosse presented a donation check to the La Crosse Police Department for $5,000.00. 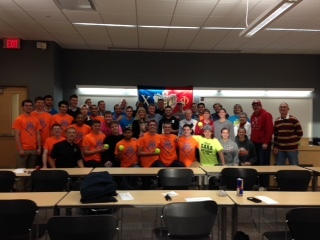 The generous donation came from funds raised during the 3rd annual La Crosse Violence Awareness Charity Softball Tournament, “Sara Softball 2015”, that was held on Saturday, April 18th on the UWL campus in honor of Sara Rose Hougom. The monies donated to the La Crosse Police Department will be used to benefit our Community Policing program and the Neighborhood Resource Officer team. 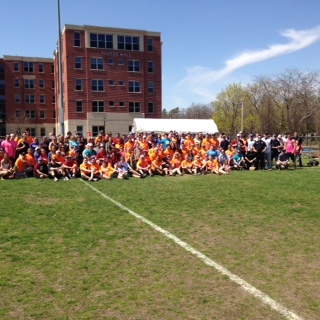 Chi Phi Fraternity shows great commitment to service in our community. Concerned citizens, such as members of Chi Phi Fraternity are a true asset in creating a safe and enjoyable neighborhood.